Adventures by Disney has added an adults-only, food-and-wine themed sailing on the Rhine River to its 2017 lineup of river cruises. The eight-day cruise will depart from Basel, Switzerland, on Oct. 21, 2017, and sail through Switzerland, France, Germany and the Netherlands. On the cruise, passengers will learn about wines during vineyard tours and onboard seminars hosted by sommelier Brian Koziol. They will also engage in culinary demonstrations and workshops with John State, Disneyland’s culinary director. The cruise will also include a gastronomic walking tour of Riquewihr, France; local beer and wine pairings and a French patisserie class in Strasbourg, France; visits to German vineyards and pubs; and a tour of the Heineken factory and a waffle demonstration in Amsterdam. 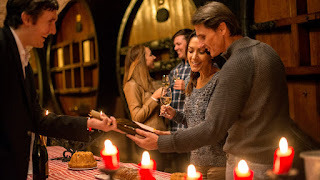 The Rhine cruise is the latest expansion of Adventures by Disney’s river cruise program, which launched this year as a family-focused product. Disney has scheduled 15 sailings on the Danube and Rhine rivers for 2017. Disney’s river cruise partner is AmaWaterways. Those who book the adults-only cruise will sail aboard the 158-passenger AmaKristina, a ship being custom-built by AmaWaterways for Disney. It will be christened next year.